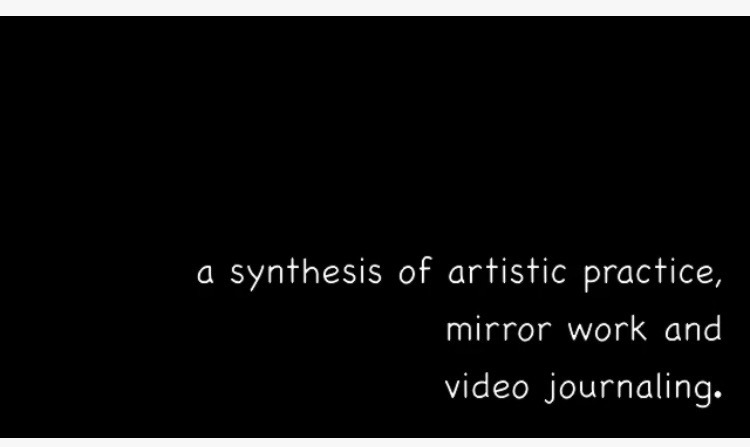 The Beautiful Collection: a synthesis of artistic practice, mirror work, and video journaling. Originally, I began video journaling as a method of therapy to manage through a traumatic period in my life. I was in search of ways to affirm to myself, the beauty within the world, those around me, and within myself. As an artist, I have always thrived from creating, observing, relishing, and questioning the various definitions and examples of aesthetics within art and life. However, this experience led me to question life. As I continued, to document, and make video recordings about my experiences, I realized that my observations and issues surrounding the manifestations of beauty in life were leading to a greater conversation. The philosophy and traditional European or American beauty juxtaposed to the perception of beauty and value of African American women and all women of color in general were at the center of the conversation. The Beautiful Collection is a series of photographs and video segments of personal conversation about beauty, being an African American woman, and my daily life. It is a collection of beautiful moments that not only represents my lived experience, it potentiality represents a sliver of the human experience. Although, presenting the Beautiful Collection as an art exhibition is definitely an important part of my personal goal as a visual artist. The long-term intention of formatting this collection of discussions, artistic videos, and photography to create a short film has greater implications regarding manifesting agency of black womanhood. The film would speak to the validity of black beauty, the importance of black mental health, and pricelessness of Black Womanhood. Hence, the exhibition, any purchases and or donations relating to this series will be used to hire an editor and be able to pay myself to review, edit, and compile several years of imagery to see this cinematic project to fruition.